Balance your feet and relax your soles up as your feet and lower legs are soothed and stimulated by the spa pedicure, massage with a unique moisturizer lotion. Followed by polish (30 minutes pedicure). Balance your feet and relax from your soles up as your feet and lower legs are soothed and stimulated by the spa pedicure. Includes callus remover, and hot stone massage with a unique moisturizer lotion. Followed by polish. (30 – 35 minutes pedicure). Detox volcano activator crystals to spa with fresh lemon orange grapefruit in warm water and then immediately add the volcano activator to experience the bubbling volcano eruption, soak tor approximately 5 minutes as the reaction moisturizes and soften the skin apply exfoliation, callus remover and paraffin mask wrapping with warm towel hot stone massage i5 minutes into skin tor a silky soft feeling, followed by polish. 5065 minutes includes therapeutic anti stress warm comfort wrap. Perfection, cuticle are cleaned, trimmed and shaped with massage. Buffed or polish. A Deluxe Spa manicure will soothe and hydrate hands included shaping buffering, cuticle detail. The treatment is finished with 10 minutes therapeutic massage followed by polish. All the benefits of Classic Manicure but adding a light exfoliation with mark wrap hot towels with paraffin and hands, arms, shoulder and neck massage followed by polish. For the ultimate hand sap treatment including shaping, buffering, cuticles details, and fresh avocado to your hands and arms to condition, leaving them silky soft, then indulge your hands in warm paraffin wax. 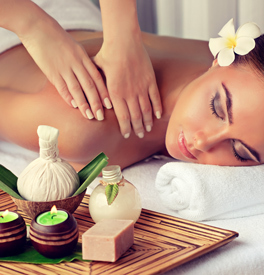 Massage on your shoulder and neck with essential oils followed by polish (25 minutes). For the ultimate hand sap treatment including shaping, buffering, cuticles details, and fresh Aloe Vera to your hands and arms to condition, leaving them silky soft, then indulge your hands in warm paraffin wax. Massage on your shoulder and neck with essential oils followed by polish (25 minutes). 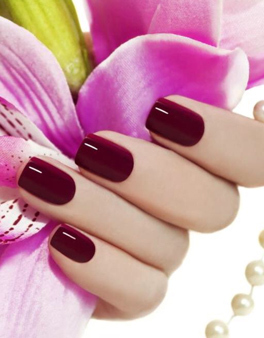 VOESH Shellac Collagen Gloves manicure brings innovation to manicure treatment. Each mask is preloaded with shea butter and collagen rich emulsion to penetrate and moisturize skin. 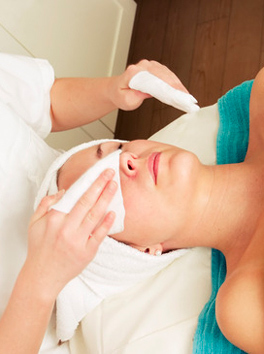 A deep pore cleansing facial is what most people think of as a traditional facial. 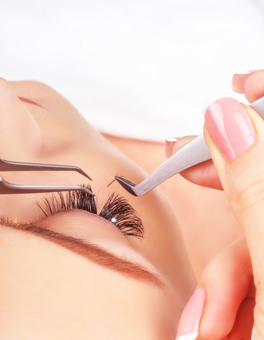 You can expect this treatment to involve exfoliation, extraction, massage, a masque, and moisturizing within 50 minutes. 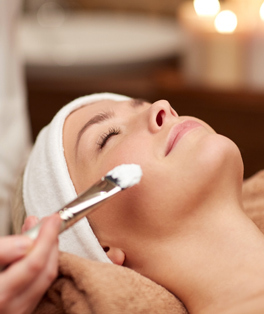 Express treatment for those who time is of the essence, we customize your facial according to your skin type and condition including cleansing, exfoliation, steam, ending with a masque, toning, and moisturizer within 40 minutes. Deep cleansing facial specifically for men includes cleaning, exfoliation, extraction, and a corrective masque designed to eliminate blackheads (Plus hands and arms massage within 55 minutes). Volcanic basalt stones are used in conjunction with classic massage techniques to deeply warm and soothe muscles. The heat and natural healing effects of the stone will melt tension away. Uses similar relaxing techniques as the Swedish massage, but upgrades the service to includes vibration and effleurage. A specialized mixture of essential oils is used to help heal, regulate mood, heart rate, blood pressure, breathing, digestion, and stress levels. Circulation and flexibility are improved while easing tension in the mind, body, and soul.